We are proud to announce that ABC Organic Gardener magazine has won HMAA “Magazine Laurel” (for the Nov/Dec 2015 issue) and our website was a Finalist at the recent 2016 HMAA Laurel Awards. The Horticultural Media Association Australia (HMAA) is a national media body. It represents the Horticultural Media Associations incorporated in Victoria, New South Wales, South Australia and Queensland. These organisations provide forums through which people (including gardening writers & photographers) actively involved in the presentation of horticulture and gardening to industry and the general public can meet together to discuss common interests and issues. The 2016 Laurel Awards were completely revamped to reflect the changing media landscape. In the 21st century, it doesn’t matter whether your words exist on a piece of paper or a file in the cloud; it doesn’t matter whether you worked for a TV station or shot your own YouTube video on a phone. What matters is what you have to say and how you say it. We write, we talk and we present to entertain and educate people of all ages about the joys and benefits of gardening. This is our craft! So, the 2016 HMAA Laurels were unashamedly craft based. The judging process, too, was under the spotlight, with the result that this year all judging was undertaken by media and horticultural professionals who are NOT members of HMAA. Winners of the 2016 Laurels were announced at the Gala Dinner in Melbourne on Tuesday, March 15th. 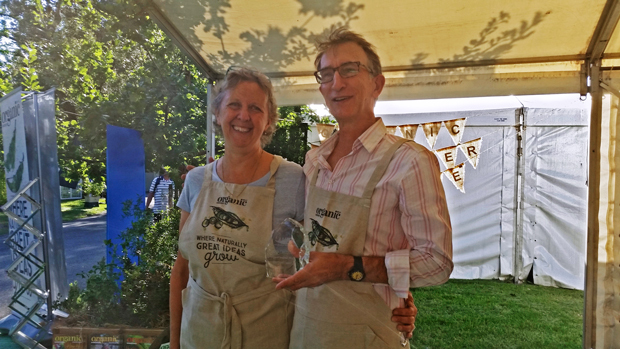 This morning, a happy Steve Payne (Editor) and Penny Woodward (Contributor) proudly showed off the HMAA Laurel trophy, in the Organic Gardener stand at the Melbourne International Flower and Garden Show. The Maggies finalists have been announced. 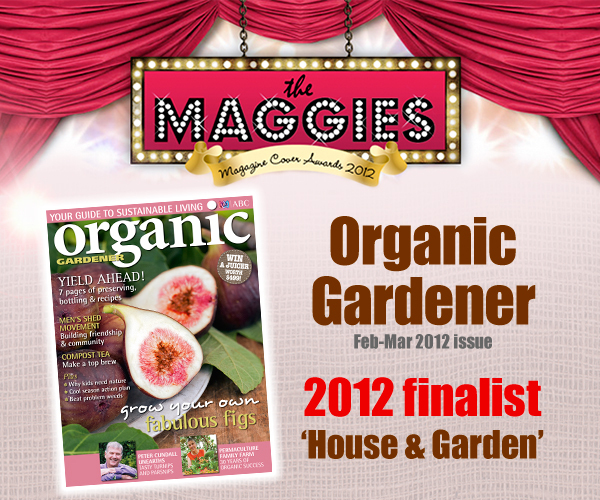 And Organic Gardener is on the shortlist! The Maggies is a national poll to celebrate and award the best magazine covers of the past year. The annual awards are a high profile competition, voted for by the general public, and supported by Australia's leading magazine association, Magazine Publishers of Australia. The industry-wide awards celebrate the best covers of the past year, whilst also growing the focus on the magazine industry as a whole. The Maggies recognizes those covers that resonate most strongly with the general public, encapsulate the passion of the subject matter, capture the spirit of the previous year and provoke the most debate. 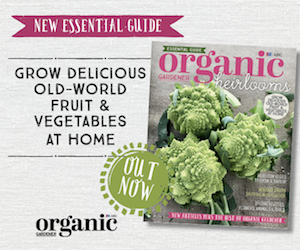 ABC Organic Gardener Essential Guide: Garden to Table has been shortlisted in the House & Garden category of The Maggies 2014! This is a great achievement, as there were an extraordinary number of fantastic covers - over 200 entries. The judges remarked on how impressed they were with the high quality of entries. 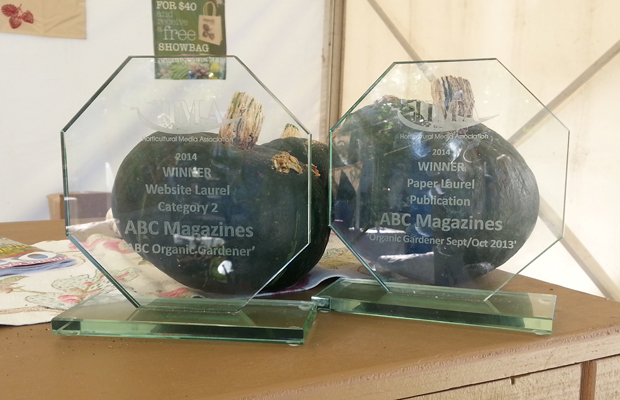 We are proud to announce that ABC Organic Gardener has won “Publication of the Year’ (for the Sept/Oct 2013 issue) and “Website of the Year” at the 2013-14 HMAA Laurel Awards. 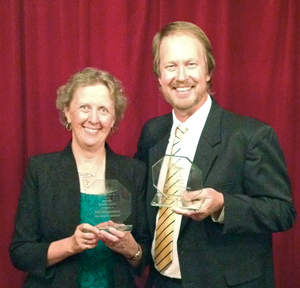 Winners of the 2013-14 Laurels were announced at the Gala Dinner in Melbourne on Tuesday, March 25. About 160 horticultural media personalities from throughout Australia attended the seventh Laurels gala event, held at the Plaza Ballroom in Collins St, Melbourne. Penny Woodward accepted the awards on behalf of Organic Gardener magazine. 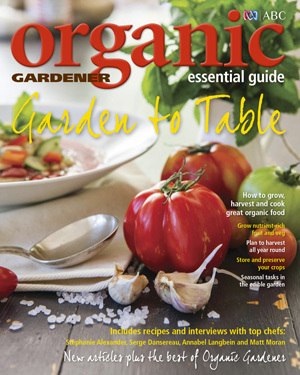 Phil Dudman, a regular contributor to Organic Gardener magazine and to our website, also received several awards, for print and radio journalism. His article “Making the Citrus Cut” in the July/August 2013 issue of Organic Gardener won him a Paper Laurel for Journalism. You can read it here. And the radio series “Harvest” which he co-hosts with Julie Ray (also a contributor to Organic Gardener magazine) was recognised with a Radio Laurel - you can find out more about it here. Congratulations to all the winners. The full list can be seen here, on the HMAA website. 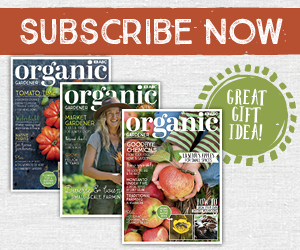 It’s wonderful that the hard work and enthusiasm of the team has been recognised, both for Organic Gardener magazine and organicgardener.com.au. 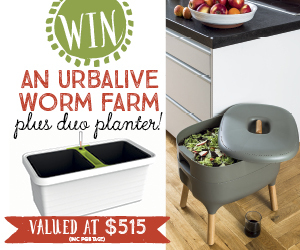 We enjoy communicating our love of organic gardening to our readers so it’s a great bonus to be recognised in this way by the horticultural media industry as a whole. 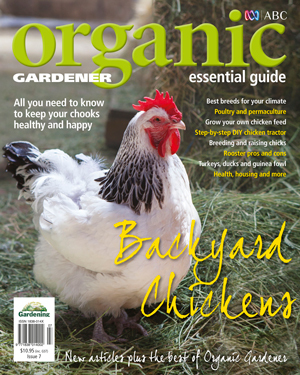 In front of more than 400 magazine and digital publishing industry leaders and guests, colleagues and papparazzi, our very own Organic Gardener Essential Guide: Backyard Chickens was recognised by the judges as a FINALIST in the category of “Special Edition of the Year”. The 2013 Publishers Australia Excellence Awards was held last Friday 15th November in the Grand Ballroom of the Sydney Hilton hotel. 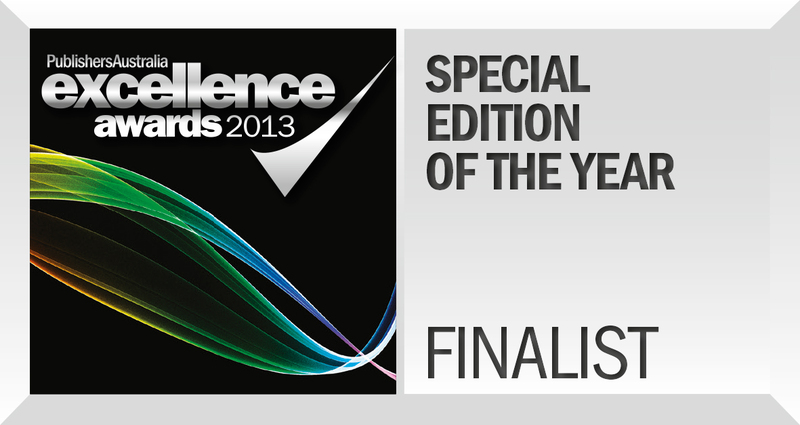 The Publishers Australia Excellence Awards are Australia's longest-running magazine Awards. This year there were 28 trophies handed out to Australia's finest writers, designers, marketers and publishers across Consumer, B2B and Custom magazines. The Maggies is a national poll to celebrate and award the best magazine covers of the previous year. The awards are a high profile competition voted for by the general public, and supported by Australia's leading magazine association, Magazine Publishers of Australia. The Maggies recognises those covers that resonate most strongly with the general public, encapsulate the passion of the subject matter, capture the spirit of the previous year and provoke the most debate.